The day on which Lord Vishnu incarnated as Kurma is observed as Kurma Jayanti. Kurma means turtle. 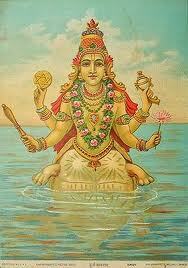 This is the second incarnation of Lord Vishnu. 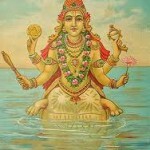 God appeared in this avatar to help the gods and demons in Ksheera sagara mathan (churning the milk ocean). Kurma Jayanti is observed on the full moon day of the vaishakh month. This year, kurma jayanti is on Thursday, 9th May 2047. Buddha purnima is also observed on the vaishakh purnima day. According to the scriptures, this day is considered very much auspicious. Various events organized at god Vishnu temples. Kurma Jayanti day is good for starting construction works, works related with vaastu and shifting to a new house.